1. NESTLÉ India Limited, (hereinafter “NESTLÉ”) is hosting a Program for NESCAFÉ É between 28th September 2018 to 30th September 2018, whereby winners stand a chance to win an NESCAFÉ É (hereinafter referred to as the “Program” for easy reference) on the website for NESCAFÉ É, the link for which is www.enescafe.in (hereinafter referred to as the “Site”). 2. The Participants shall, at their own will, optional and voluntary basis, provide their email IDs to participate in the said Program, which is valid from 00:00 Hrs. on 28th September 2018 until 23:59 Hrs. on 30th Sept 2018, (hereinafter “Program Period”). 3. 10 winners would be announced at the end of the time period. There will be total 10¬¬¬ winners and a NESCAFÉ É, an app enabled smart coffee maker worth INR 6499 will be given as prize per winner. 4. Participants must ensure that their entry/submission is made within this Program Period. The Program is available for the above Program Period only. 5. Participation in this Program is optional and voluntary. 6. Participation in this Program is open to all Indian citizens above the age of 18. 7. No Entry fee is required to be paid for participating in the Program. 8. Participants will be asked to register themselves on the NESCAFÉ É website. 9. An incomplete entry /submission by a Participant is liable to be rejected. Nestlé reserves the right to reject any entry/submission without assigning any reason thereof. Any decision taken by Nestlé for rejecting any entry/submission shall be final and binding and not subject to any dispute or challenge. 10. The decision of NESTLÉ on the selection of a winner shall be purely basis random selection and the decision of the selection shall be final and binding and no correspondence will be entertained in this regard. 11. The Winner shall be entitled to Prize as decided by NESTLÉ and subject to the time NESTLÉ takes to deliver the Gift set namely Nescafé É device. NESTLÉ does not commit to a fixed timeline to deliver the Gift set/ prize to its winners. 12. Award of prizes is subject to the verification by NESTLÉ. NESTLÉ shall use basic audit standards to verify the legitimacy of the Winner. In case there are any conflicts in the legitimacy of the Winner, NESTLÉ is entitled to cancel the prize at any given point against such claimed Winner or Participant. In case the Winner(s) are not verified internally or not reachable or they cannot redeem the Prize for any reason whatsoever, NESTLÉ will reserve the right to pass on the Prize to another participant without any further notice to the Winner. 13. In case a participant is not contacted/intimated/declared as a Winner, it shall automatically mean that the person's name has not come through the selection process and that he/she is not a Winner. 14. The Prize is non-transferable and cannot be redeemed / exchanged for cash. No claim shall be entertained in this regard with NESTLÉ or to any third party authorized by NESTLÉ. 15. Acceptance of Prize constitutes permission to NESTLÉ and any third party authorized by NESTLÉ to use the Winner's name, photo, entry, likeness and other relevant details for purposes of publicity, edition, presentation, brand study, market research, advertising and/or trade without further approval, permission, compensation or notice for unlimited period. 16. No consideration is payable by NESTLÉ against use of any entries received for the Program. 17. NESTLÉ and any third party authorized by NESTLÉ reserves the right to reject, delete, or remove any answer/entry without assigning any reason thereof in their respective databases, digital assets etc. 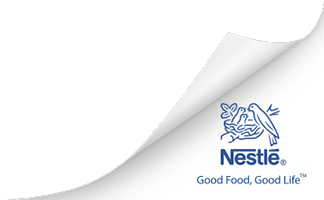 Any decision taken by NESTLÉ and or any third party authorized by NESTLÉ for rejecting, deleting or removing any answer/entry shall be final and binding and not subject to any dispute or challenge. 3. The participant confirms that he/she is not breaching any law or violating any third party rights by using this Program. To participate in this Program, the participant should log on to the Site and answer to the situations provided. 7. Agree to be bound by the terms, including in particular those relating to the collection, retention, use and sharing of personal data. Your approval of Usage Agreement in the Announcement Post shall tender your confirmation on the same. 8. Hereby waives all rights and grant to NESTLÉ a royalty-free, non-exclusive, perpetual worldwide license to copy, modify and otherwise use and distribute his/her winning entry and/or any element of the submission (hereinafter the “Works”), in any and all media and in any publication whether online, offline or on the Internet. NESTLÉ shall also be free to use any ideas, concepts, photos, know-how or techniques contained in such submissions or materials for any purpose; as also approved by you on the Usage Agreement in the Announcement Post. 9. Hereby waives all rights and grant to NESTLÉ a royalty-free, non-exclusive, perpetual worldwide usage rights to copy, modify and otherwise use and distribute his/her winning entry and/or any element of the submission (hereinafter the “Works”), in any and all media and in any publication whether online, offline or on the Internet. NESTLÉ shall also be free to use any ideas, concepts, photos, know-how or techniques contained in such submissions or materials for any purpose now or in future; as also approved by you on the Usage Agreement in the Announcement Post. 10. Hereby agrees that the Participant has taken requisite permission from any and all such person/s and or property owner whose image/ picture/ or any form of property is included in the content provided by the Participant towards this Program/ Contest. In case of any disputes/ complaints raised by such third party shall be the liability of the Participant. . NESTLÉ is not responsible to address such issues or complaints from any party/ third party/ Participant. 13. Undertake to adhere to terms and policies as set out by NESTLÉ. 19. NESTLÉ reserves the right to withdraw, change, defer, alter or cancel this Program in part or full, or change any or all of the terms and conditions that are applicable, without giving prior intimation/notice of any kind and will not be liable for any consequential losses/damages. Any decision of NESTLÉ in this regard and in general with respect to this Program and the terms and conditions thereto shall be final, binding. 20. NESTLÉ shall not be liable for any loss or damage due to Act of God, Governmental actions, other Force Majeure circumstances and shall not be liable to pay any amount as compensation or otherwise for any such loss. 21. All disputes are subject to the laws of India and the exclusive jurisdiction of Courts of New Delhi alone. 22. If a participant is dissatisfied with the Program and/or the terms and conditions of the Program, his /her sole and exclusive remedy is to not to participate in the Program.